Diepraam, Mattijs. World Championship Grand Prix Wins. Forix. Autosport. 24 June 2012 [8 July 2012]. ^ About FIA. Fédération Internationale de l'Automobile (FIA). [31 October 2008]. ^ His Serene Highness Prince Rainier of Monte Carlo awarded the first FIA Gold Medal for Motor Sport. Fédération Internationale de l'Automobile (FIA). 14 October 2004 [30 October 2008]. ^ Superb Schumacher signs off in style. BBC Sport. 22 October 2006 [31 October 2008]. ^ Lynch, Steven. The long wait. ESPN. 25 May 2012 [8 July 2012]. ^ Benson, Andrew. Vettel claims historic Monza win. BBC Sport. 14 September 2008 [30 October 2008]. ^ Lynch, Steven. Over forty but still fast. ESPN. 3 February 2012 [18 June 2012]. ^ Grands Prix chronology. Stats F1. [16 October 2014]. ^ Wins chronology. Stats F1. [6 March 2012]. ^ Holt, Sarah. Kovalainen claims maiden victory. BBC Sport. 3 August 2008 [6 March 2012]. ^ Ostlere, Lawrence. F1: Max Verstappen wins Spanish GP after Lewis Hamilton and Nico Rosberg crash – live!. the Guardian. 15 May 2016 [15 May 2016]. ^ Michael Schumacher. Formula One World Championship Limited. [2014-03-04]. ^ Lewis Hamilton. Formula One World Championship Limited. [2014-03-04]. ^ Sebastian Vettel. Formula One World Championship Limited. [2014-03-04]. ^ Alain Prost. Formula One World Championship Limited. [2014-03-04]. 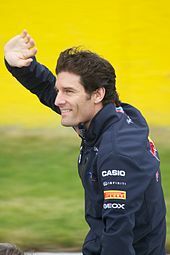 ^ Ayrton Senna. Formula One World Championship Limited. [2014-03-04]. ^ Fernando Alonso. Formula One World Championship Limited. [2014-03-04]. 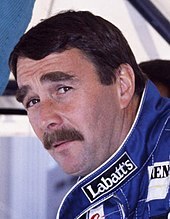 ^ Nigel Mansell. Formula One World Championship Limited. [2014-03-04]. ^ Jackie Stewart. Formula One World Championship Limited. [2014-03-04]. ^ Jim Clark. Formula One World Championship Limited. [2014-03-04]. ^ Niki Lauda. Formula One World Championship Limited. [2014-03-04]. ^ Juan Manuel Fangio. Formula One World Championship Limited. [2014-03-04]. ^ Nelson Piquet. Formula One World Championship Limited. [2014-03-04]. ^ Damon Hill. Formula One World Championship Limited. [2014-03-04]. ^ Kimi Räikkönen. Formula One World Championship Limited. [2014-03-05]. ^ Mika Häkkinen. Formula One World Championship Limited. [2014-03-04].